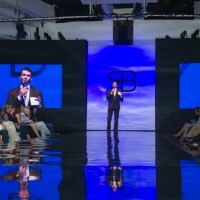 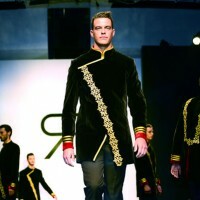 Azerbaijan showcased one of its glamorous facets by inspiring famous Italian designer Renato Balestra for a refined and original fashion show in Cannes. 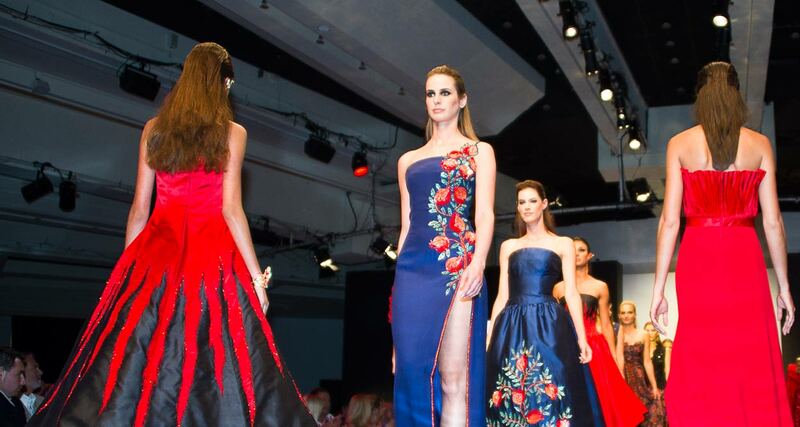 A gorgeous fashion show by Renato Balestra, one of the most famous Italian designers, closed up the second consecutive Azerbaijan Cultural Festival at Salon des Ambassadeurs in Cannes Palais des Festivals on July 12, 2014. 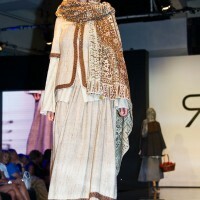 During archaeological excavations in the territory of Azerbaijan, pieces of cloth brought to light reflect a refined culture of clothing creation, existing before the time of Christ. 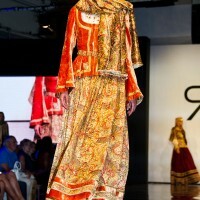 From the development of this ancient culture, Azerbaijanis clothes have always stood out by the quality of their fabrics and refined patterns. 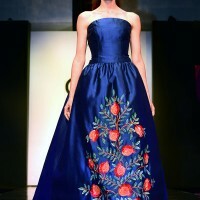 A designer, Renato Balestra, has has drawn on clothes in the collections of national museums, as well as ornaments and designs of carpets to create a sublime collection, combining in an original way traditional clothing and sophisticated designs of today’s fashion. 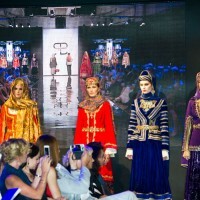 On a long catwalk of black lacquer, with giant screens in the background showing images of Azerbaijan, in the first part, marched models wearing clothes reflecting the historical, ethnographic and artistic features of folk art. 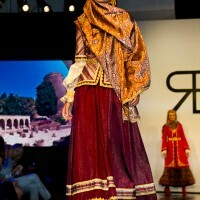 The second part of the show presented a collection inspired by the classic themes of the country, its rich inner world, adorned with precious stones and embroidery representing the pomegranate, fruit emblem of Azerbaijan. 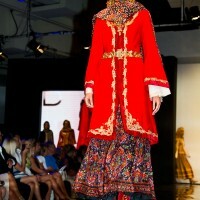 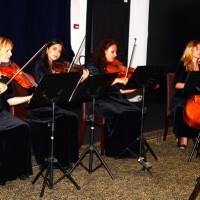 Stunning evening dresses, with red and black embroidery, reflecting the flame, a symbol of Azerbaijan, and a sign of progress and development, delighted the audience. 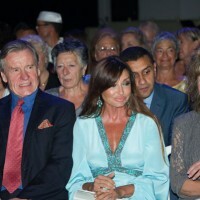 The First Lady of Azerbaijan, Mrs Mehriban Aliyeva, President of the Heydar Aliyev Foundation who organised the Cultural days, honored the fashion show with her presence. 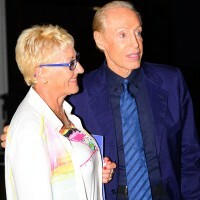 Azerbaijan’s glamor was showcased by 27 models from the agency Enjoy Models whose beauty was enhanced by M-Toi with Make-Up Artist Virginia Mazzuchelli, who also recruited the hairdressers. 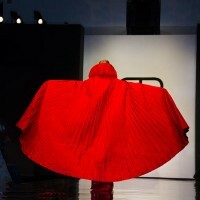 The famous Italian designer was born in Trieste, from a family of architects and engineers who developed his innate taste on the arts, such as music (piano) and painting. 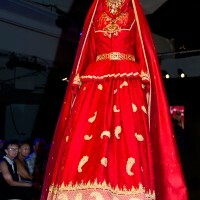 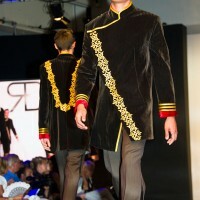 As a result of a bet between friends, he started on the design of a collection of haute couture. 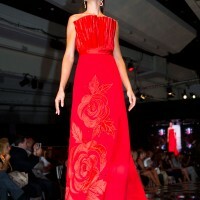 Renato Balestra now designs Haute Couture and ready-to-wear collections. 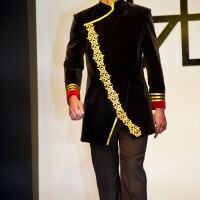 He is dressing prestigious ladies, celebrities and personalities all around the world.